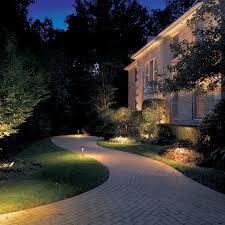 Using outdoor lighting effectively is a wonderful concept to employ in your home. 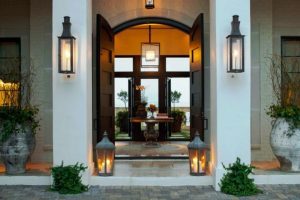 Light during the day is quite different from how it is seen at night and can be quite useful in emphasizing light pathways and other outdoor spaces. 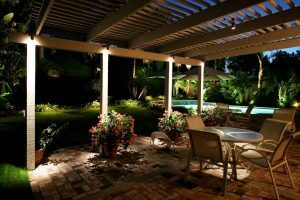 Here are some tips on how to achieve good outdoor lighting. As a whole, light is divided into three layers according to functionality: Overall, Task and Accent. Overall lighting pertains to illumination of an entire space or room while task lighting pertains to a specific goal like lighting a dining area or kitchen counter while accent lighting focuses on drawing attention to an object or area such as the use of floodlights. Different light types are used for outdoor lighting. For instance, incandescent bulbs provide a soft and pleasing light source but are not too reliable as they break very quickly and use way too much energy. Halogen lighting on the other hand are upgraded versions of the incandescent lights with better energy use and longevity. Fluorescent lights meanwhile last longer, consume lesser electricity and are available in an agreeable color range. LED lights are highly efficient, last longer than all the others combined but are more expensive. 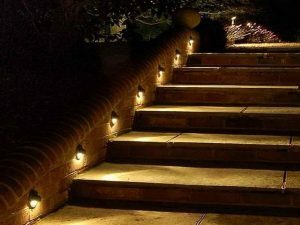 A pathway that is well lit is not only a welcoming sight but very necessary as long as the illumination it provides make the user more secure. Total Lighting, LLC does not recommend to use high illumination and downlights. 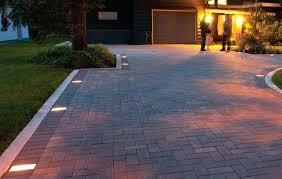 Pavers can be individually lit in order to create a nice pathway. It is recommended to use only low-voltage lighting for this part of your home. Lights are installed on each side of the door as well as overheat at front and side entry too. For safety purposes, steps should be illuminated. One can install LED lighting on the risers or on the treads. Special emphasis needs to be placed on task areas like the cooking area as well as along railings and also on seating sections. One can utilize the uplighting method to send light upwards on an umbrella or deck to create an indirect effect. Among the most innovative of inventions include the full spectrum LED bulbs. So what is the big deal about these bulbs? Well, unlike your typical lights, the full spectrum LEDs are designed to emulate midday sunlight or the full electromagnetic spectrum of light regarding how you see them – they are kind of mini-sunlights. The only real full spectrum is sunlight – even when the quality of light varies depending on factors such as atmospheric conditions and latitude. When you think about it, the term “full spectrum” is nothing more than just a marketing term. The bulbs come in an assortment of sizes, voltages, wattages, finishes and base types. The functioning of full spectrum is all about the kind of lamp it utilizes. As a matter of fact, a technical term that defines it sufficiently is not in existence – may be in future everything may be clearer. Full spectrum bulbs are broadly grouped into two: fluorescent and incandescent – these require no introduction. The incandescents employ a glass enclosure made from neodymium to sieve out some of the spectrums responsible for the yellow light that characterize typical incandescents. These bulbs look purplish or lavender when they are off. However, fluorescents use a blend of phosphors – the name gives it away – to transform the light white. Full spectrum fluorescent lights are much closer in appearance to daylight. They appear white when unlit and are typically designed to bring out the colors well. Of course, the full spectrum bulbs are not expected to wholly be like daylight, but they emulate the hue and quality of visible light. The full spectrum lights have a number of applications. In general terms, the bulbs are used wherever a representation of sunlight is critical. In other words, the lights are useful in places or activities where sunlight is needed but unavailable – you can name a few of these places. The most common of applications for LEDs include as grow lights in indoor gardening. They help ardent gardeners register bountiful harvests throughout the year – even during the winter months. Basically, the full spectrum light is critical to animal and plant life – so you can guess the other places they are useful. And yes, aquariums are other places where the full spectrums are needed. Under this kind of light, aquarium plant life grows better, and the fish become healthier. 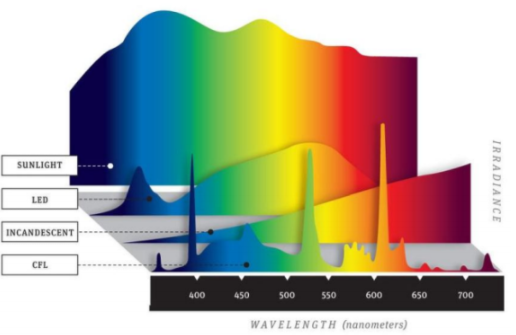 And even though plants are conditioned to the real sunlight, the full spectrum lights imitate the real thing regarding wavelengths to support growth and health. It enhances the natural coloration of aquatic life which is often not visible under standard bulb lights. This means the lights enhance the natural beauty of freshwater aquariums so that you appreciate them better – your guests will love everything about the aquarium. The full spectrums are useful in providing sufficient task lighting. Photographers, readers, writers, and artists all find the light indispensable. Surprisingly, the light has a host of health benefits that include healing of physical and mental related issues. Brightening up your home is an enjoyable experience while making the house beautiful. At Lamps Plus you will find a huge selection of lighting fixtures of various sizes and shapes, from chandeliers to outdoor lights and table lamps. They also sell some furniture and other home décor. The fact is, your home lighting has a huge influence on the overall look and ambiance of your home. When your home is too dark, it might make it difficult for you to do your tasks and when it is too bright, it does not look as cozy. The trick is to find a balance and having various options for lighting. This way, you can mix and match depending on your needs. Lamps Plus has thousands of lighting fixtures to make sure you have everything you need. 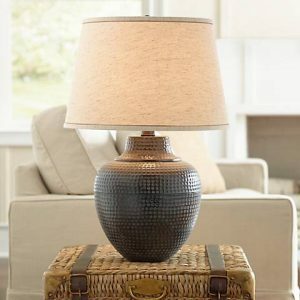 You can also choose from designer lamps at great discounts with the use of a new Oct. Lamps Plus coupon code. You may also find nice deals that are even just half-priced. They can assure their customers that their prices are the lowest. So whether you are redecorating your home or setting up a new one, purchase all your lighting needs at Lamps Plus. For orders of more than $50, shipping is free and you may return any item without additional cost as well. If you are unsure which to buy, you can choose to go for custom lighting. You may also browse through their room inspiration gallery to find ideas on which one to buy. You may also call their Lighting and Home Décor Consultant for help. Besides purchasing online, you may go visit their stores on the West Coast. They also offer workshops, consultations, and even lighting installation. From the huge selection of lamps to the wonderful service they offer their customers, you will not even think about going somewhere else for your lighting needs. Have you been planning to add solar lighting to the roof of your house? It is better to take decision on the roof adequately in order to avoid issues in the future. Home architecture must be taken in to consideration also. Longevity of the roofing material may play an important role here. Expenses regarding roofing must be kept in the mind also. By talking with the experts from a construction and roofing company, you must decide on the type of roof. For the Northwest as well as north east region of the country, asphalt or slate roofing may work best as it can deal with the snow perfectly. In case of a hot climate, you may use metal roofing. Lot of heat may not be absorbed on the occasion by the roof. Some of the roofing material may be excellent for fire resistance. If you are staying in a country where lots of wildfire incidents are seen then you may go for fire resistance roofing option. In Southern part of United State, Generally four seasons are observed. Some time, different types of weather may be noticed on the same day. However, extreme conditions may not been seen ever. So, a roof material must be selected that is effective for each and every weather condition. 30° as low temperature average can be noticed in the southeast region. However, highest temperature average can go up to almost 90°. Therefore, roofing material must be good enough for wide temperature range. Issues related to wind resistance can be found also. Roofing materials like concrete or clay may not able to resist wind adequately. In the region, chances of tornadoes are observed also. Lot of outbreaks can be experienced throughout the year. Torrential rain and wind effect can be noticed in the coastal area also as a result of tropical storms and hurricanes. During summer time, lot of humidity can be felt. Proper cleaning and maintenance of the wood shingles may be required to reduce chances of moisture deposit and roof decay. By thinking about all these weather parameters, you must choose the nature of roof. 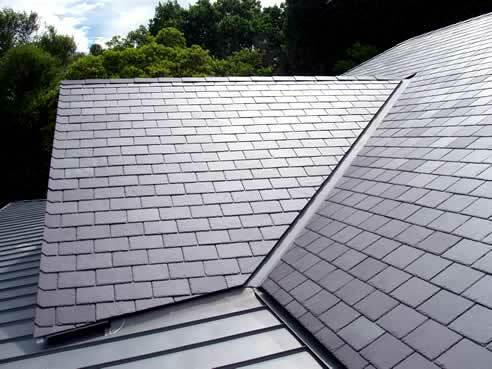 Slate Lighting Roofs: Due to strong nature of the roof, moisture can be withstood quite easily. It may be effective for heat and heavy snow also. Installation and repair work may be expensive. However, life span of the roof is more than any other roofing materials. Asphalt Lighting Roof: Most of roofs in United States are made of asphalt shingles. Therefore, it has been seen in the south east part of the country also. Weather condition can be dealt with easily. However, lifespan can be decreased as a result of hot climate. Metal Roof: For almost every weather condition, metal roof can be considered. It is quite durable in nature too. However, lot of noise may be created during rainy season. Importance of roof is understood by the professional in quite well manner. Opinion of them must be taken quite seriously always. Beauty, budget and maintenance work of the roof is considered before recommending a roofing shingles always. Does Lighting In Your Home Gym Improve Workouts? So, they say that lighting in the office can change your mood when you are working but is that also the case with your lighting in your gym? Can the lighting you have change the way you workout on your home gym equipment? 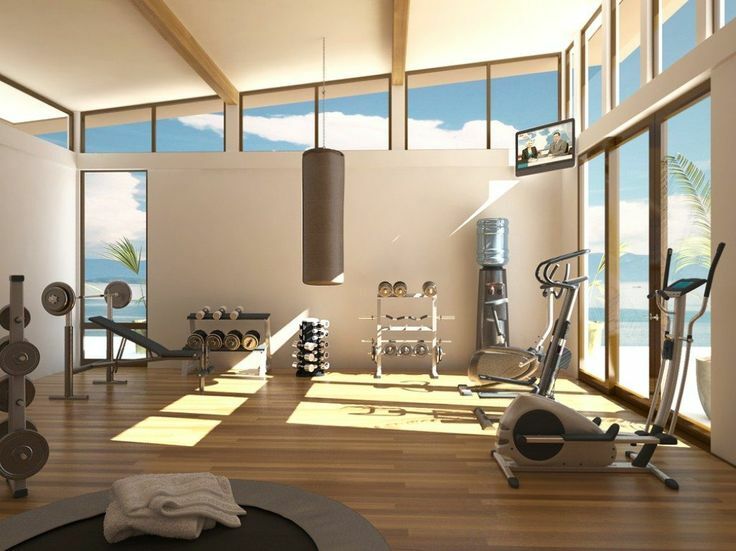 You bet the lighting in the gym can put you in a better mood and will lead to more intense and enjoyable workouts. If you are in a better mood you are more willing to stay and actually finish your workouts which will lead to better gains and better weight loss. Bulbs in car headlights grow dimmer by at least 21% over time. It is for this reason that they eventually burn out. Sometimes, only one out of the two headlights burns out. During replacement, it is important to replace both the headlights so as to make sure that your truck headlights have the same intensity. Changing both lights will also make sure that the new headlight does not appear brighter than the other one. 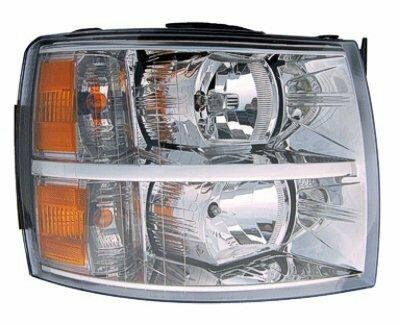 Make sure that you use certified Chevy Silverado parts when replacing the bulbs. This will make sure that you avoid compromising pre-engineered system performances, manufacturer’s warranty, and reliability of your car. It is also against federal law to use non-complying parts in servicing. Look into the Chevrolet website or visit a certified dealer to make sure your new headlights are certified and are the best match for your vehicle model. If the bulb is a halogen bulb, be careful not to scratch or drop it. This may result in an explosion. Broken pieces of glass also pose potential injuries. Make sure you turn off the lamp before replacing the bulb. This will allow the bulb to cool down so that it does not burn you when you touch it. When changing headlights, it is recommended not to touch the glass part of the bulb with your bare hands. Oil from fingertips will make the touched part of the bulb hotter than the rest of the bulb. This will shorten its life span. Make sure you have a 10mm socket, pliers, and a flatbed screwdriver before you start. 2. Make sure that your car is parked on a level ground making sure that all tires are inflated to full pressure. The area where you will be servicing your car should be clean and well lit. 3. Set your emergency brake on. For safety purposes, make sure that both the headlights and the key are off. 4. Pull the handle with the “open hood” symbol on it. The handle is located on the left side of the brake pedal inside the vehicle. 5. Locate the secondary hood release by inserting your hand in the gap between the center of the grill and the hood. Push the secondary hood release to the right and lift the hood. 6. Use a flathead screwdriver to remove retaining clips that secure the radiator cover to your car. Insert the edge of the screwdriver into the middle of the clip and tilt the screwdriver downwards. Do the same for the remaining seven clips. Set aside the panel after removing the clips. 7. Remove the four 10mm bolts that are found right under the shroud cover. 8. Use a pair of pliers to remove the four clips behind the grill. Push the clips together and then pull the grill free after making sure that all four clips are free. 9. Remove the two 10mm bolts behind the headlights. 10. Pull the center panel located on the wheel well. Locate the 10 mm bolt securing the headlight. 11. With all three bolts out, slowly pull and twist the headlight out. As you pull out the light, make sure you detach the headlight from the wiring harness by squeezing the top of the connector. Pull gently so as not to damage the harness. 12. Remove the bulbs by turning them counterclockwise and slowly pulling out. Disconnect and safely dispose of the old bulb. If you hardly drive at night, then you may not realize that your headlights are foggy. In this world of uncertainties, you may never know when an emergency would come up. It could come in the middle of the night, you never know. Your loved one can fall sick. You may get an emergency phone call. It could be just anything, and you end up on the road. At night! 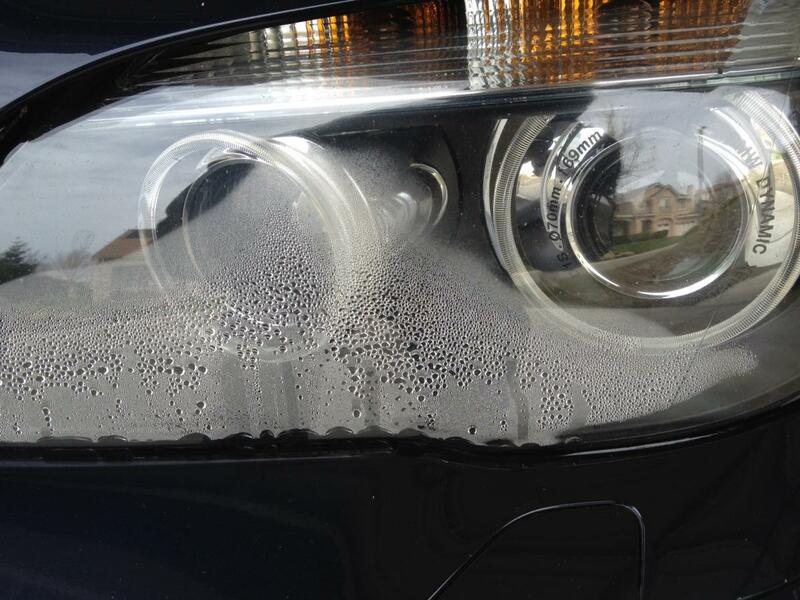 Headlight condensation reduces visibility and can lead to accidents. You definitely don’t want this, so always inspect your headlights to see if they are foggy. And if they are foggy, fix them! How? So we asked the service department at Classic Kia of Beaumont, TX for the 411 on how to do this simple process. They should be your number one choice for official Kia parts and accessories in the SouthEast Texas area. Well, here is how to fix headlight condensation or fogginess in your car. · Tools needed to remove your headlight (consult your owner’s manual to know the specific tools you need). 1. Consult your owner’s manual for tips on how to remove your headlight and follow the instructions to remove it. Usually, unscrewing the bulb, removing the back of the assembly, and opening the hood would work. 2. Once you gain access to the assembly, use the lint free cloth to remove the moisture from the lens. 3. Put the silica gel into the lens assembly. Make sure it does not come into direct contact with the bulb. Put the headlight back. 1. Use soapy water to wash the lenses, then rinse and wipe it dry. 2. Dip a rag into denatured alcohol then use it to clean the lens in a circular motion. Repeat this process until the lenses become clear and then rinse. 3. Soak sandpaper in water, and then sand the lens in small, circular motion. Only stop when the lenses are smooth. You may then apply car wax to prevent headlight condensation in future. You can also use desiccant packets to get rid of minor condensation. However, if the condensation is major, consider using a hair dryer to dry out the headlight’s housing. If you opt for this method, be cautious to use low heat, preferably less than one hundred and eighty degrees Fahrenheit. 1. Any silica gel pack can work. These packs are usually found in white bags with a message “DO NOT EAT”. They are nonhazardous and nonflammable. 2. Ensure that the gel pack does not come into direct contact with the bulb. If there is barely enough space, do not leave it at the bottom of the assembly since any contact with the bulb will make things worse. 3. Silica packs will only absorb forty percent of their weight in water. While this will address most condensation issues, it will not necessarily fix the problem. You may need to replace seals and gaskets then apply silica gel to fix the problem completely. 4. If it is mandatory that your car is inspected annually, you will most likely be forced to replace your headlights if they are in bad condition. Maintain your headlights to avoid costly and unnecessary replacements. Prevention is always better than cure. However, if your headlight is already blurred, you will need to take corrective measures. If headlight condensation is troubling you, the tips, steps, and tricks discussed above will come in handy. You never know when an emergency will come up, so always ensure that your headlights are in good condition. Deregulation of Energy has brought a different kind of revolution in the United States. Though every state has jumped into energy deregulation, but are moving towards it. Deregulation, is nothing but is a condition, where the people are given a chance to compare the prices of different kind of energy supplies, and can choose one for their home according to their need. Deregulation of Energy has become really popular in the Norther parts of America. The begging of deregulation has allowed competitive energy supplying companies like TriEagle Energy to come into the market and offer their products to the consumers. The best thing about the deregulated energy market is that the consumer can choose their energy provider, just like they can choose different household service providers. The New Jersey Board of Public Utilities (NJBPU), passed a bill in 1999, to change the residential power supplies, into deregulated energy industry. The aim behind doing this, was to allow the residents, to choose the energy provider according to their budget and their needs. For deregulated energy consumers, there are two varieties available, one is simple electricity and another is the natural gas source. A survey was done right after the deregulation was done between 1999-2003 and it was found that the consumers were highly benefitted, for it had reduced the customer’s rate by almost 10.2 percent, which saved them approximately $290 million. With time, the source of deregulated energy has developed further, and the service providers are now called Energy Service Companies (ESCOs). There are almost 21 licensed electric suppliers and 29 licensed natural gas suppliers. Other than these, there are even private suppliers usually known as third party suppliers. TriEagle Energy is one of the leading energy providers in New Jersey. It is so because they fulfill all the three categories wisely, that are considered while choosing a provider. Rates – Since there are many providers in the market, the rates seem to vary and face competition every once in a while. And TriEagle gives, some cheap rates, that are absolutely pocket friendly. Service – Providing an uninterrupted service is very important. Though after deregulation the electricity or the natural gas providing source gets changed, the local distributor remains the same, and that’s why the consistent delivery of the energy should not be hampered and this is where TriEagle stands out, as they are masters in providing their service, without any interruptions. Products – In this tough market every company decides and launches a variety of products to lure the consumers. So, TriEagle Energy too have many products and try their best to provide cent percent value for the consumers pay by providing them with various product options. Though it is a very appealing system, because of its merits of providing a good product, service and price, yet the system is not totally flawless. There are flaws in the deregulated energy system too, but considering the pros, the minor cons can be ignored. It is hoped that just like New Jersey, every state of the United States, will slowly turn into a deregulated energy state. Most people don’t give lighting much thought. Light fixtures are all around us, standing lamps, fixed ceiling mount lighting, canned lighting and pendant lights. These are the fixtures that light up our lives. Here are some popular types of light fixtures and where to use them and not use them. 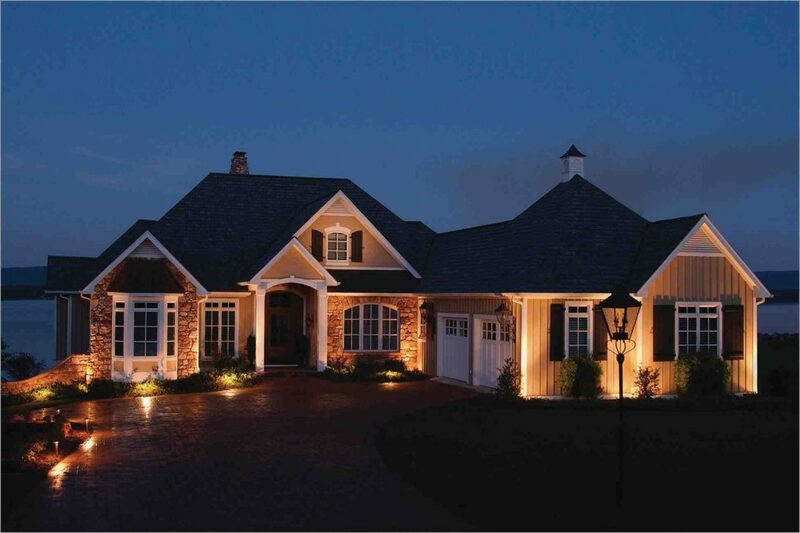 In the past home builders didn’t give lighting the thought and consideration that it really deserved. That’s how we ended up rooms that are dark and uninviting. Lighting problems in the home are REAL problems for many people, the truth is, light mistakes are avoidable. Here are some common lighting troubles people commonly have and how we would suggest fixing them. I don’t have any lighting in my living room! – Many older homes weren’t built with the wired lighting in the ceilings of the living room. People who live in those homes have no choice but to use standing or table top lamps. Thats just what they have to do if they intend to stay in the home. There are so many options for those people and certainly something for every budget and style. Most home improvement stores like Home Depot and Lowe’s have basic lamp options. I would suggest you go check out a specialty lighting store though. Stores that specialize in lighting will have a wider variety of choices available and you know what, they usually aren’t much more than the big box stores. Plus, you get somebody who really knows what they are talking about to help you. We need new light fixtures in our entry way! – This might not seem like a problem really but there is some thought that should go into it. First, how long are you planning on staying in your house? Are you going to be there for 20 or 30 years? If so, great, go buy something that fits your personality because you’re going to be the one who lives with it but if you think you might sell your home in the not to distant future then go with something that will appeal to more people. Believe it or not, it might end up being a factor in helping you sell your home. When we bought our house recently I knew immediately when I walked into the door that the house we purchased would work for us. Most people make a basic yes or no decision about a house in the first couple minutes. If you have some over the top fixture in your entry way, that could cast a shadow of a doubt on a potential buyer.